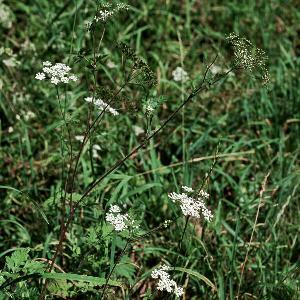 A bristly perennial species up to 3 feet tall, with purple-spotted stems (compare hemlock Conium maculatum, which is purple-spotted but non-bristly). Very rare and local, and with few recent records. All names: Chaerophyllum temulum L.; Chaerophyllum temulentum L.